One beautiful September morning there was a large envolope in my mailbox that had come all the way from California, some 8,848 kilometers (5,498 miles) away from my home in Estonia. The envelope was of course from Mozilla, and although Alix Franquet from Mozilla had asked for my address, I wasn't expecting anything so big. I eagerly opened the large envelope and found a small treasure of Firefox and Mozilla items! 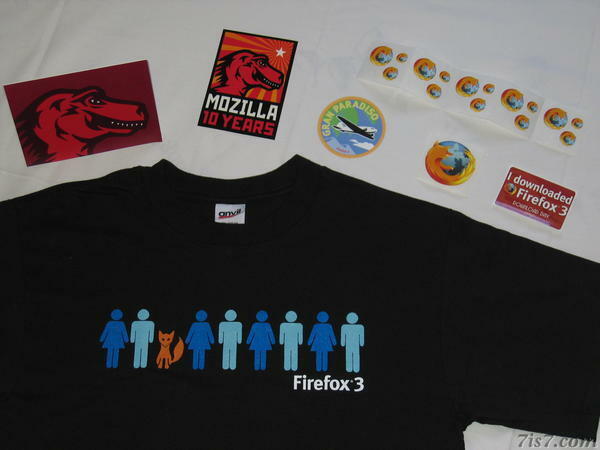 Not only did it include a Firefox 3 T-shirt, it was the one with my favorite design! 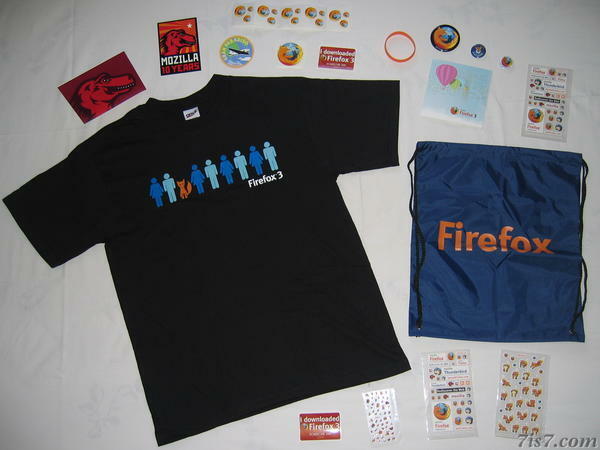 Besides the T-shirt, it also included, badges and buttons, a Firefox 3 CD, a Firefox bag, numerous stickers and a thank you note thanking me for all my efforts in helping to promote Firefox over the years. Below are a few photos of the items. BTW, you can buy many of these items in the Mozilla Store. I particularly recommend the Firefox T-shirts. 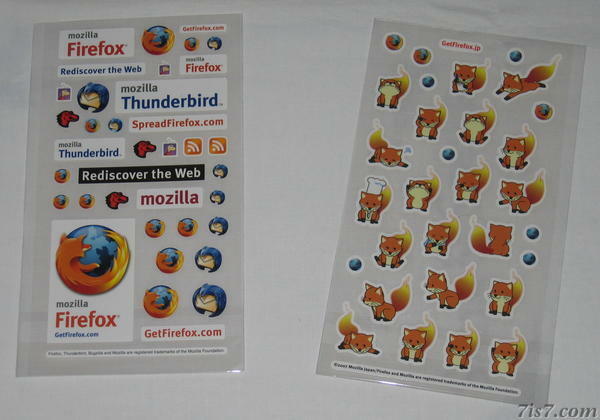 I have been and still are a strong supporter of Firefox. Thanks to Firefox the web has been liberated from the stranglehold of a monopoly that slowed down and sometimes prevented innovation. Breaking the monopoly allowed open standards to make enormous progress, as a result of which the web has been opened up, and far from becoming a duopoly the browser market is slowly becoming a healthy and competitive multi-vendor environment. These same standards also mean that Macintosh and Linux users now have access to all the resources the web has to offer. Mozilla has also consistently made Firefox a multi-platform browser, for which I thank them. But it's not over, the battle is never won, some companies will still try to monopolize standards and applications. We must not let that happen, ever! Open standards and strong competitive open source applications are the way to prevent the return to the dark ages of monopoly standards and applications. Everyone can help keep the web open by using and promoting Firefox.